With some degree of alarm Christmas is upon us for another year already, and so comes the inevitable; shopping. You’ve given the early guides in weekend supplements a cursory glance, thinking it’s months away yet; you’ve noted that idea you saw in the Evening Standard/Metro/Stylist but you threw your copy away and can’t remember exactly what it was or where to get it; and you’re boycotting amazon. Either way, you’re leaving it a little late. 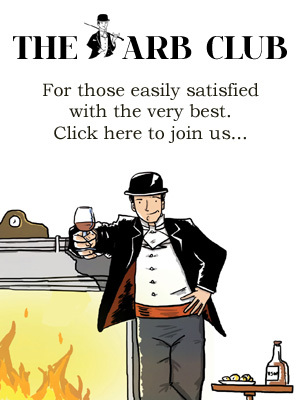 Well, that’s where the Arb’s legendary Gift Guide steps in. Two weeks out, we’ve just the ticket to solve all your gifting needs, whether you’re a last minute shopper or, simply, just don’t have the time. Here are our choices for 2014. 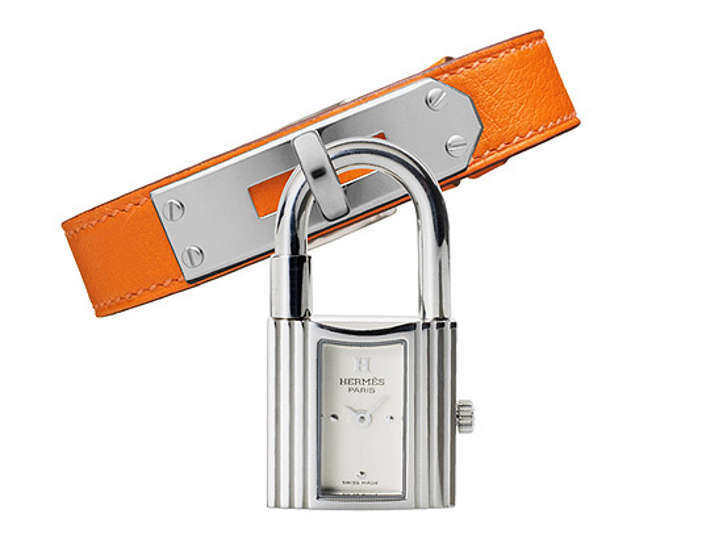 In 1975, the famous Kelly bag lent the padlock from its clasp to a timepiece that would bear its name. Now a modern classic, the Kelly watch is a must-have for the busy lady who likes to keep an eye on the time in the most fashionable and elegant way. French chic at its best. Luxury British watchmaker, Bremont, have a fabulous range of luxury watches in their line up, none more elegant than the ALT1-C automatic chronometer. Integrating an impeccably modified, chronometer-rated Valjoux 7750-SO BI AC movement, the ALT1-C brings together art of watch making with the very best of technical innovation, precision and durability. Aromatherapy Associates arguably produce the best essential oils on the market, used by spas and massage professionals around the globe. Experience the seriously relaxing and restful powers of vetivert, camomile and sandalwood for a tranquil night with their Deep Relax bath oil. This stuff really packs a punch and will send you off to a restful night’s sleep – just don’t drift off in the bath! They also sell handy gift boxes of smaller oil samples for those wishing to experience their full range of incredible scents. 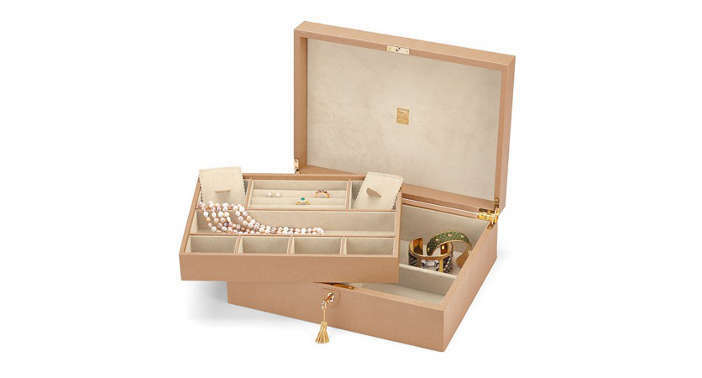 The Aspinal Grand Luxe Jewellery Case is an exquisite work of art – a ‘private treasure chest’ in itself. This solid wood jewellery box is beautifully covered in the finest Deer Saffiano textured Italian calf leather and lined in a signature contrasting cream soft-suede to protect your personal jewellery treasures. The top level comprises of a double ring roll, a full length watch/bracelet compartment, two compartments with padded lids and a further four smaller compartments for earrings. Removing the top tray reveals the lower level comprising of four square compartments for larger pieces. Featuring Aspinal’s signature plaque to the suede lined lid, with solid brass hinges and a small brass lock for extra security, this is the perfect home in which to store one’s sparkling keepsakes. In our search for truth, how far have we advanced? This uniquely human quest for good explanations has driven amazing improvements in everything from scientific understanding and technology to politics, moral values and human welfare. But will progress end, either in catastrophe or completion – or will it continue indefinitely? In this profound and seminal book, quantum physicist David Deutsch explores the furthest reaches of our current understanding, taking in the Infinity Hotel, supernovae and the nature of optimism, to instil in all of us a wonder at what we have achieved – and the fact that this is only the beginning of humanity’s infinite possibility. 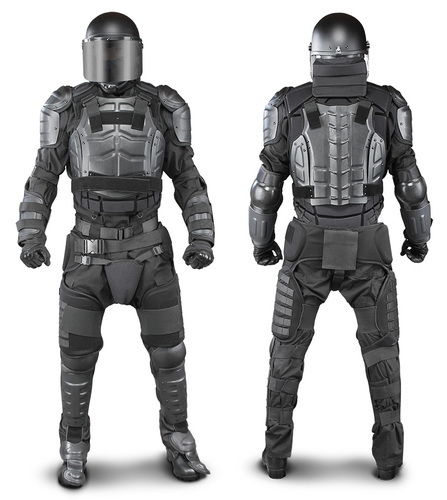 The DFX2 Riot Suit was designed to provide substantial protection from blunt force trauma without sacrificing the fit or comfort. The chest, shoulders, and back hard shell panels have a modular flex design allowing for all shapes and sizes to fit comfortably without sacrificing much needed mobility. The chest portion of the suit offers the unique option of adding an aluminium stab plate for additional protection. The back plate offers a raised portion in the center that protects the spine from blunt force injury. The TG40 thigh/groin protector features a Molle System on both thighs allowing the user to attach a holster, mag pouches, or molle pockets of any kind. The forearm guard offers a much more comfortable elbow portion of the pad, which allows more flexibility. The knee/shin guard has a non-slip surface, which keeps you planted in position. Available from Damascus Gear and affiliated suppliers. There’s at least one person that’s almost impossible to buy for at Christmas; you’re never sure exactly what they like and you’d rather not buy something that might only end up on eBay in the new year. But there is one sure way to avoid your gift becoming inevitable clutter; get them something they can enjoy, if only for a moment, but that lasts in the memory. I don’t mean balloon rides and days out at Silverstone – though there’s nothing wrong with those – but something a little more personal. ‘Truly’ offer a panoply of experiences – including balloon rides and track days – but which are curated, customisable and high end. 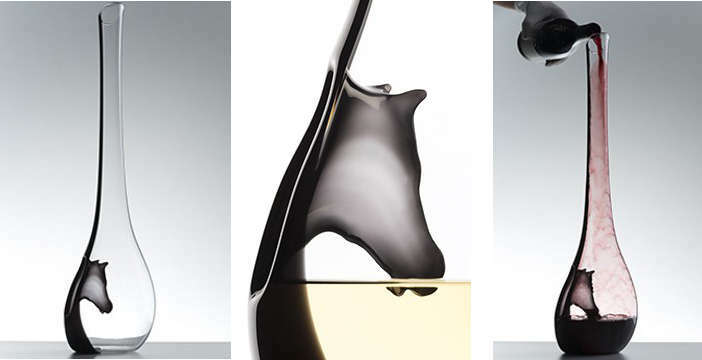 From a cigar and whisky pairing at 10 Manchester Street to a champagne sailing day on the Solent, you could create your own fragrance at Floris in Marylebone or even re-create yourself as a mini ‘you’ figurine. With a multitude of experiences at a range of prices, Truly might just have cracked that eternal Christmas conundrum. 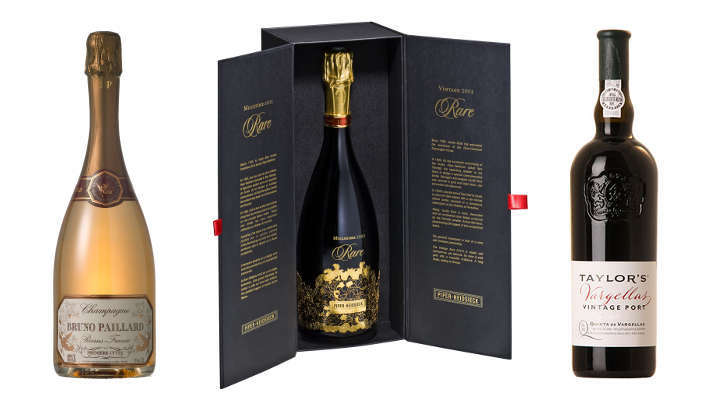 What’s more, Truly experiences can be purchased at the last minute, even if you order before lunchtime on Christmas Eve, it can be delivered to your office before the end of the day. For a full list of unique gift experiences visit trulyexperiences.com. The joy of the Skytime Card is that you can create bespoke routes or set flying times personal to you or the loved one you are purchasing the card for. The additional luxury lifestyle benefits that the card also offers sets it apart as the ultimate gift this Christmas for the adventurous luxury traveller – by partnering with Moët Hennessy for example, Skytime Jets can gain access to some of the most renowned Champagne chateauxs in France for their clients that usually are inaccessible to any members of the public. 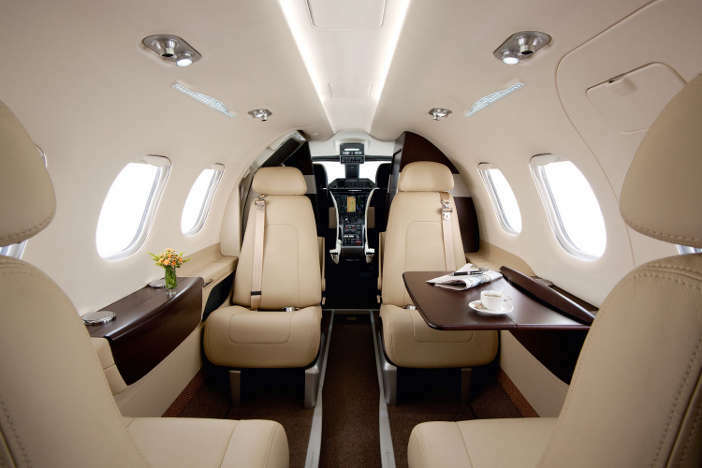 Where to buy: Skytime Jets. Whether used on the move or at home as tasteful storage, Steamline luggage is a keepsake for any personality and purpose. Crafted from high-strength materials, durable locks and accented with brushed metals, each piece of Steamline Luggage is as functional as it is sophisticated. Classy in design, classic in look their unique, eye-catching suitcases are the definitive accessory for the chic traveller, the ultimate statement to declare your departure or announce your arrival from the baggage carousel. Every Carry-on and Stowaway piece boasts silent trolley wheels and aluminium extendable handles for lightweight and smooth mobility. Each piece is handmade, bound with leather straps and fitted with tested TSA locks accepted by airport security all around the world. All Stowaway and Carry-on pieces come with a protective, weather resistant cover. The Carry-on styles are perfectly measured to fit into 99.9% of all overhead compartments around the world. Steamline luggage is available from their website and Selfridges & Co with prices starting from £165. The millions of us who followed Hadfield’s news-making Twitter feed from the ISS thought we knew what we were looking at when we first saw his photos. In this book of photographs from the International Space Station – many of which have never been shared – Hadfield unveils a fresh and insightful look at our planet. He sees astonishing detail and importance in these images, not just because he’s spent months in space but because his in-depth knowledge of geology, geography, and meteorology allows him to reveal the photos’ mysteries. Featuring Hadfield’s favourite images, You Are Here is divided by continent and represents one (idealized) orbit of the ISS. This planetary photo tour – surprising, playful, thought-provoking, and visually delightful – provides a breathtakingly beautiful perspective on the wonders of the world. You Are Here is the must-have book for travellers of both adventure and armchair. Available from Waterstone’s stores and their website. Our friend Timothy Everest has a fantastic range of ready-to-wear items in stock for a dapper Christmas gift, available from his Bruton Street store or Elder Street atelier. 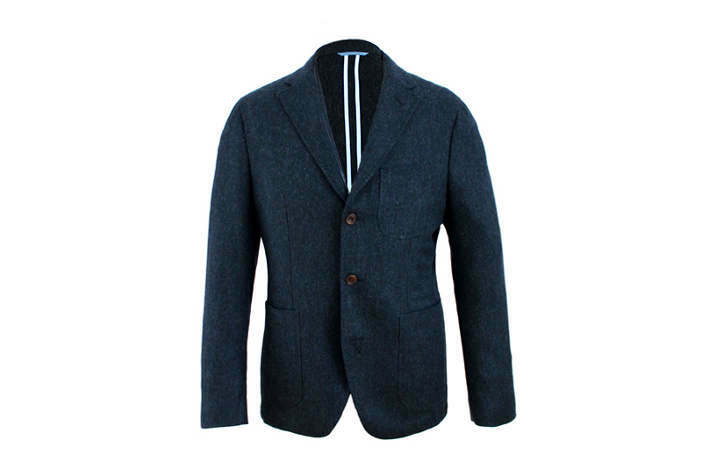 This single breast 100% wool jacket is a dashing and beautifully fitted garment, ideal for smart casual use this winter. The benchmark in luxury cashmere clothing, Loro Piana makes some of the finest wool garments on the planet, all cut in that distinctive Italian style. If you have a big budget and a love of things soft and warm, look no further than their Bond Street store for a wide range of jackets, jumpers, cardigans, scarves and shawls. Being the most subjective art form it’s often over-looked in the Christmas present stakes, but art is, arguably, the definition of gift-giving; it shows you’re cultured, innovative and supremely thoughtful. What’s more, art – unlike the proverbial puppy – is truly for life, not just for Christmas. With art on your wall, it is the gift that keeps on giving. Because it is so subjective, it’s not for everyone but it’s the concept of buying art we’re advocating. If you truly know the recipient, and can pick a piece accordingly, you’ll be a hero. Speaking of heroes, one artist we’ve encountered at the Arb is Jane Fontane. 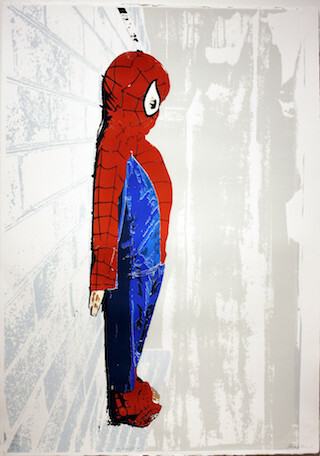 One of those represented by COMODAA, introducing contemporary artists from down under to Blighty’s shores, Jane’s child superhero ‘mugshot’ prints were searingly popular at the inaugural group show in Covent Garden in 2009. And now, five years on, she has a new collection. Witty, quirky and a head-turner on a drawing room wall, Jane’s limited edition prints are a metre high and priced at £500. For more information and availability, email info@comodaa.com. 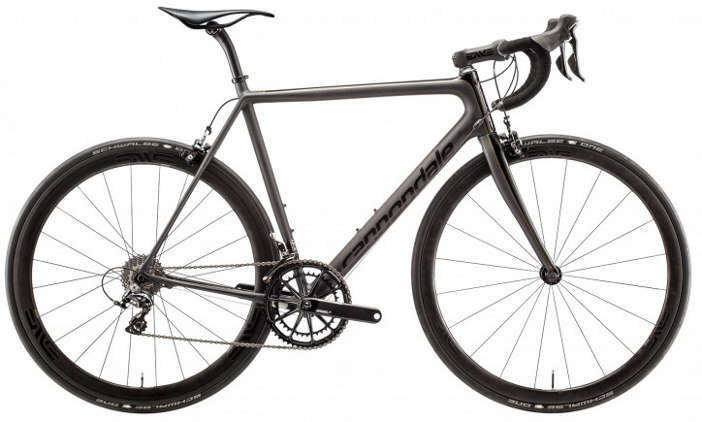 Cannondale’s ultimate road racing machine, featuring one of the world’s lightest frames made with their EVO Nano carbon weave, this bike takes the already legendary SuperSix to a new level. Coming in well under the UCI’s permitted low weight limits, this is the perfect balance of light weight, stiffness, strength, handling, aerodynamics and compliance. A toy for the cyclist who already has everything, but wants to go just that little bit faster. Prendas Ciclismo supply a wonderful selection of modern and retro team jerseys for all tastes. The ideal gift for the fashion conscious cyclist, they’ll be the envy of everyone on the bike during their winter training months and summer racing season with these high quality and fabulous looking garments.